Arach Jalaal will see you now. This week, Destiny 2’s semi-regular Faction Rally event has returned with a lot of changes. Those changes are all for the better, particularly if you want to spend hours chasing hard-to-get rewards. Faction Rally is a weeklong event that turns up every month or so in Destiny 2. 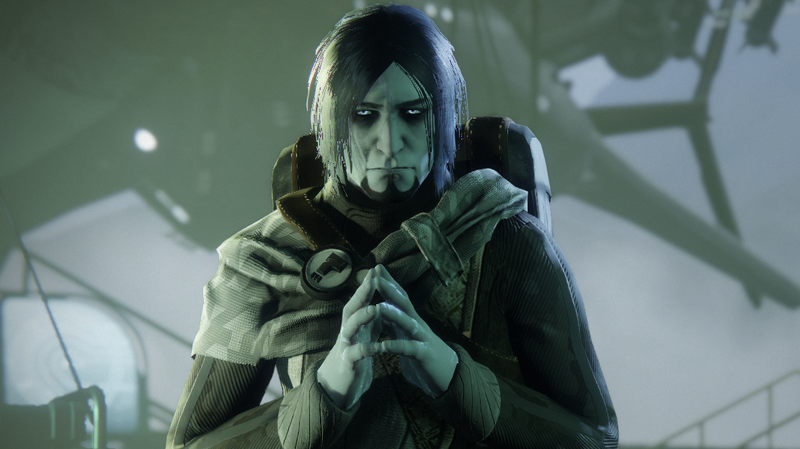 At the start of the week (Destiny weeks run from Tuesday to Tuesday), players can pledge to one of the game’s three factions—the goth pioneers of Dead Orbit, the tech-obsessed doomsday preppers of Future War Cult, or the space fascists of New Monarchy. Completing events and activities while repping a faction earns you faction tokens, which you turn in to rank up and get loot. Whichever faction has had the most tokens turned in at the end of the week—tallied across PC, PS4, and Xbox One—unlocks a cool (or, in some cases, less cool) faction-specific weapon that their followers receive at a discount. That’s all still the case for the game’s latest Rally, but a lot of other things about the event have changed. For starters, your faction pledge is now account-wide, meaning you can no longer pledge your three characters to one faction apiece, earning loot from and making progress for all of them. The reward pool has also been spiced up, with exclusive exotic armor ornaments and, most compellingly, the exotic “masterwork” catalyst upgrades for three of the best exotic weapons in the game—Graviton Lance, Sunshot, and Sweet Business—locked, one apiece, behind each of the factions. There’s no other way to get those masterworks except to play Faction Rally. That’s a savvy combination of restrictions and incentives: if you want an exotic masterwork upgrade for the hand cannon Sunshot, you’re going to have to pledge Future War Cult. However, because you can only pledge Future War Cult, that means you won’t be able to get the masterwork upgrade for the now-amazing pulse rifle Graviton Lance or the reliably good minigun Sweet Business. Your faction choice matters both because your options are limited, and because the rewards are actually worth chasing. That makes for a good foundation for the event, but the biggest changes happen when you’re out in the game earning faction rep. When in a patrol zone, activities like world bosses and public events earn you a new “renown” score, which starts at one and goes to five. Complete a patrol, you get one point of renown. Finish a public event, you get three. You can get more renown per event by wearing a full set of armor from your faction, which is a nice little incentive that harkens back to some of the event-mandated fashion of the first Destiny. Once you have five, your renown is maxed out. As your renown climbs, you begin to take more damage and start healing more slowly. At five renown points, you’ll basically be unable to heal at all, unless you wait a loooong time or step over the new healing light orbs that begin to drop from defeated enemies. Don’t die, though! If you die, you’ll lose a renown point. You want to raise your renown because the higher it is, the more faction tokens you get from completing one of the Lost Sector mini-dungeons you can find while on patrol. Beat one with no renown score, and you’ll get a token. Beat one with five renown, and you’ll get 10. So that’s the cycle: Build up your renown out in the world, go into a Lost Sector, beat it, profit. Once you loot the chest at the end of the lost sector, your renown resets and you’re free to start the cycle again. I’ve been playing a lot of the latest Faction Rally since Tuesday, and have been having way more fun than I had in previous rallies. Like a lot of people, I really want the Graviton Lance masterwork, which means I have to get to rank 50 for Dead Orbit before I can unlock it. That’s going to take me a while, which incentivizes me to get my renown as high as possible for each Lost Sector I complete. The renown system’s difficulty modifier also does a good job of making planetary exploration interesting, and the penalty for death has made Lost Sectors more exciting than they’ve been in the past. The restricted healing at higher renown levels also has had me playing the game in an interestingly different way, relying on the healing exotic gun Crimson and my Warlock’s innate healing powers much more strategically than I normally do. This sort of systemic difficulty modification, common in most action RPGs and even present in some parts of Destiny, has long been conspicuously absent from Destiny patrols. Patrol activities in Destiny have always stayed at a single difficulty setting, one low enough not to overwhelm players who might just be starting the game. That means patrol zones present a largely trivial challenge to anyone at a high level with good gear. Lost sectors, a new addition to Destiny 2, seemed like an enticing proposition that could make patrol zones more varied, but they unfortunately suffered from the same low-level-itis. It’s nice to see Bungie finally come up with a way to make them more engaging. All those positive changes haven’t come without a few problems, of course. The grind to get to rank 50 and unlock your exotic masterwork is awfully long, and after a few hours does becomes pretty mindless. I’ve seen plenty of players lamenting that if they don’t get to rank 50 this week, they’ll have to pledge the same faction next time around, which means foregoing the ability to pledge a different faction and chase a different masterwork. The renown buff from wearing faction armor is nice, but can lead to uneven renown levels if you’re grinding with a group of friends who don’t all have full armor. If you fast-travel during a patrol, you lose all of your renown, which can be annoying. There’s also just some of the usual Destiny jankiness—a friend of mine was hit with a bug last night where a death cost him all of his renown, instead of just one point, which left our team needing to grind out a bunch more renown for him while two of us were weakened by already being maxed out. On the whole, though, Faction Rallies have been changed for the better. They benefit from a cleverly designed series of gameplay systems that encourage players to approach things in a slightly different way, and reward players not just with loot, but with more interesting versions of challenges many have probably ignored up until now. They’re yet another step in the right direction for Destiny 2.